Daily meditations are useful to help prepare the mind in a spiritual way for the day. Upon awakening, first thoughts are typically self-centered, and stay that way throughout the day. Daily meditations provide motivation to step outside of your normal train of thought, explore new concepts, and hopefully gain new spiritual insight. Meditations done daily are a simple, yet powerful way to improve your life. Daily meditations can be done anywhere, at any time, to provide immediate benefits. Some of the benefits of daily meditation include relieving stress, sharpening memory focus, improving self-control and personal happiness. Some research also suggests that establishing a daily meditations practice promotes good blood pressure and metabolic health. Since daily meditations are naturally contemplative and mindful in nature, the act of performing meditations daily enables the practitioner to be consciously present in their daily decisions, break bad habits, and be more present and involved in their own life, instead of just cruising through it. 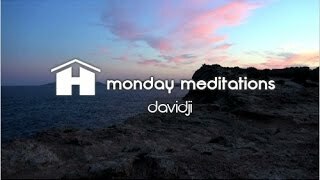 Daily meditations are a great way to peacefully and mindfully start your day!